It looks horror films aren’t the only ones getting the augmented reality treatment of late. Instead of scaring yourself witless by watching the ghost of ‘Sadako’—from famous 1998 Japanese horror film The Ring—literally crawl out from a television screen, get entertained with this AR version of arcade classic Street Fighter II. 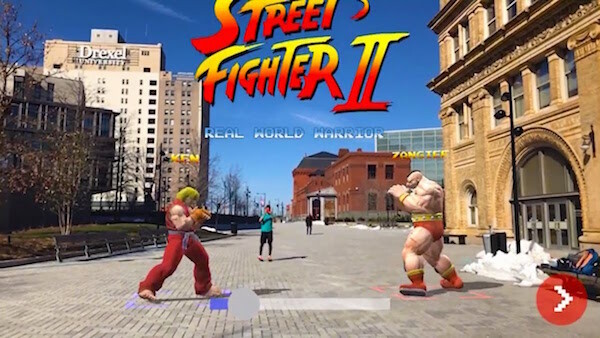 Coder Abhishek Singh, who previously brought Super Mario Bros and The Ring to life through AR, has rebuilt Street Fighter II as a multiplayer AR game and taken it to the streets. Watch the game’s characters execute ‘Hadouken’ attacks around wholly indifferent pedestrians below.